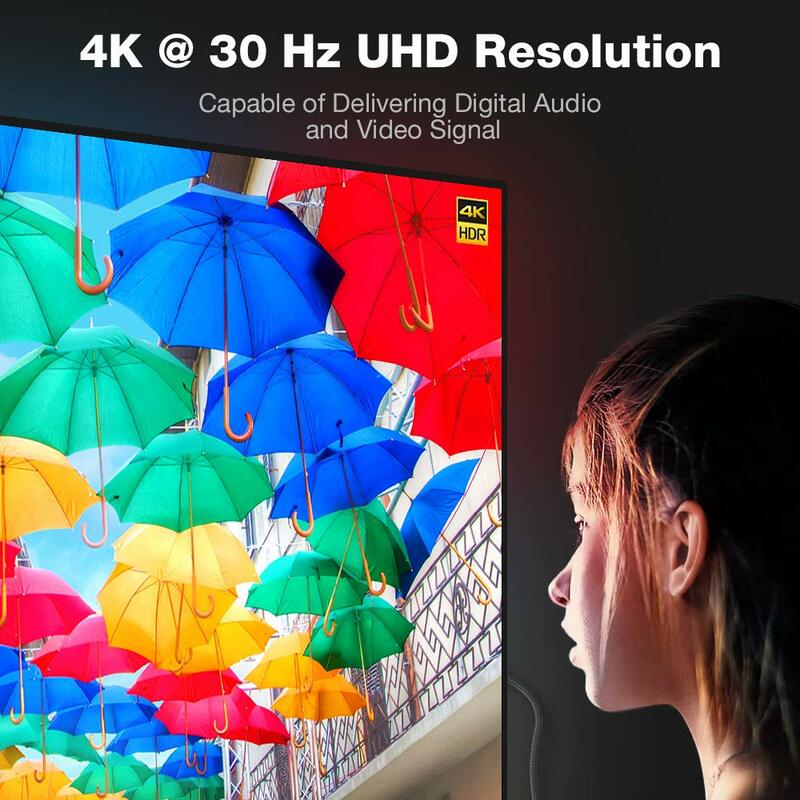 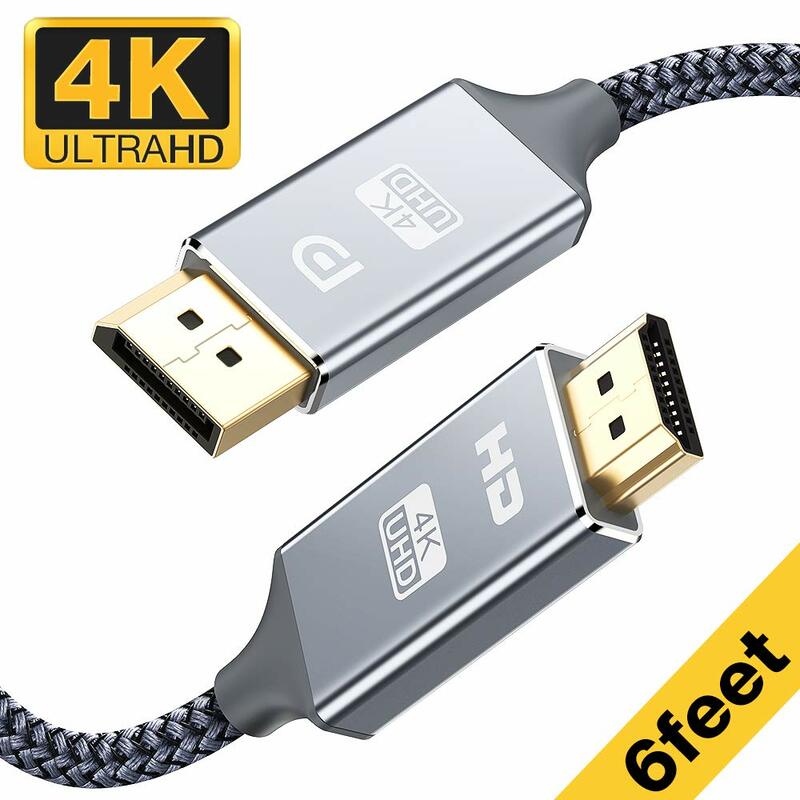 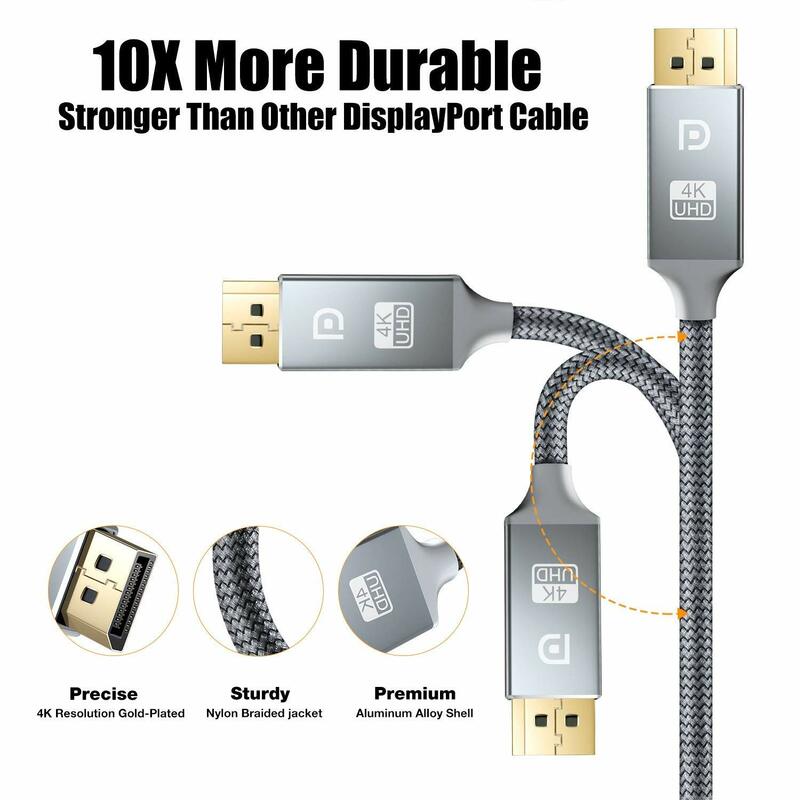 【6Ft High Speed】 DisplayPort to HDMI cable, connects computer to 18GBS 1080p HDTV for audio and video streaming or to a monitor or projector; plug and play; Please Note: This is Unidirectional DP to HDMI cable, DON’T support HDMI to DP. 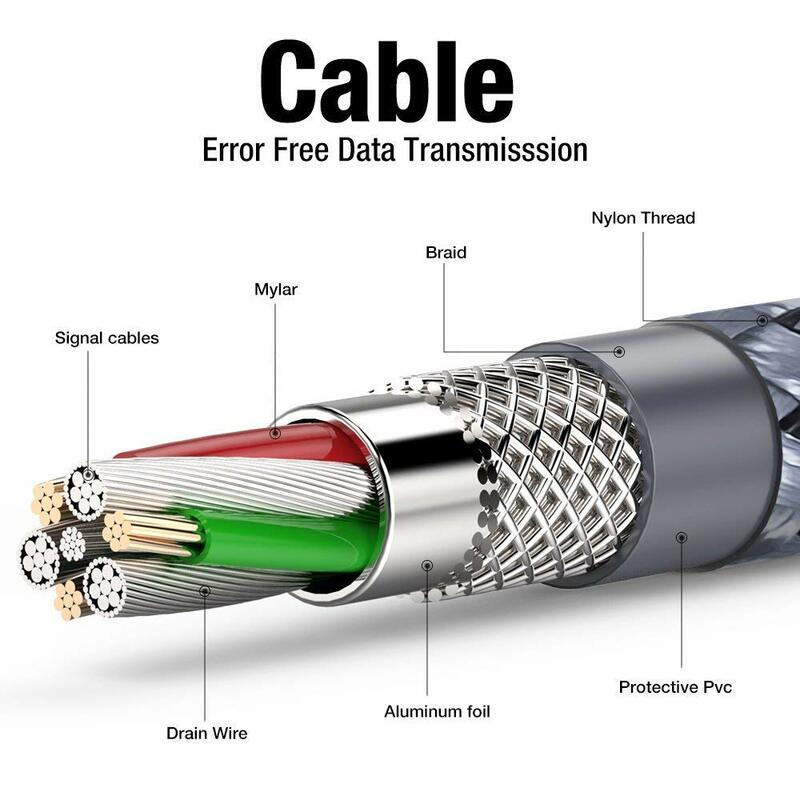 It is not ➹Bi-directional. 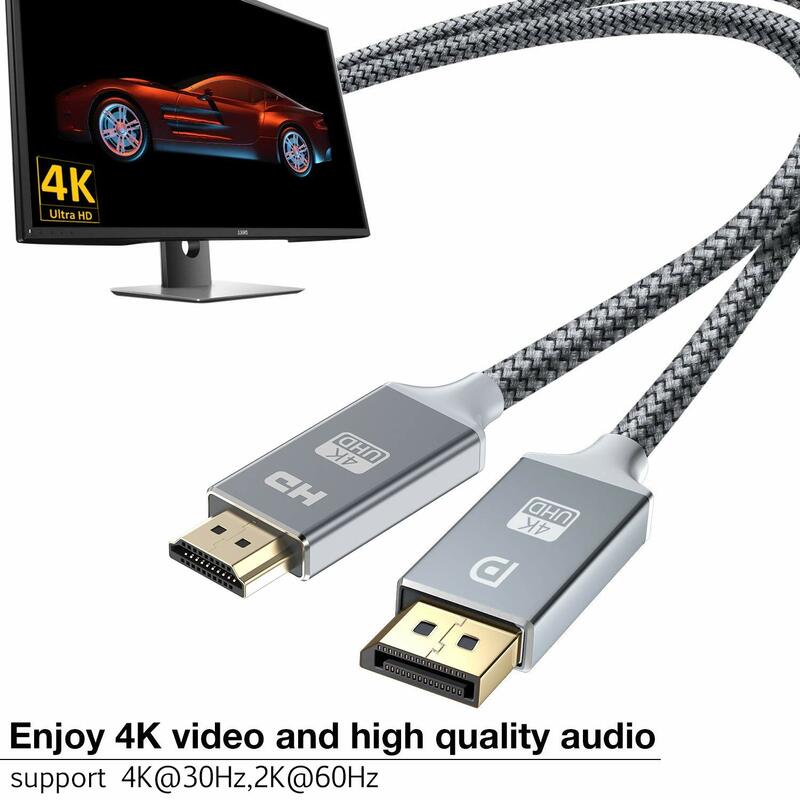 【Audio Video Sync】 Nylon Braided M/M Display port to HDMI adapter cable with Slim Aluminum Shell transmits high-definition video and audio from your computer to an HDTV for video streaming or gaming. 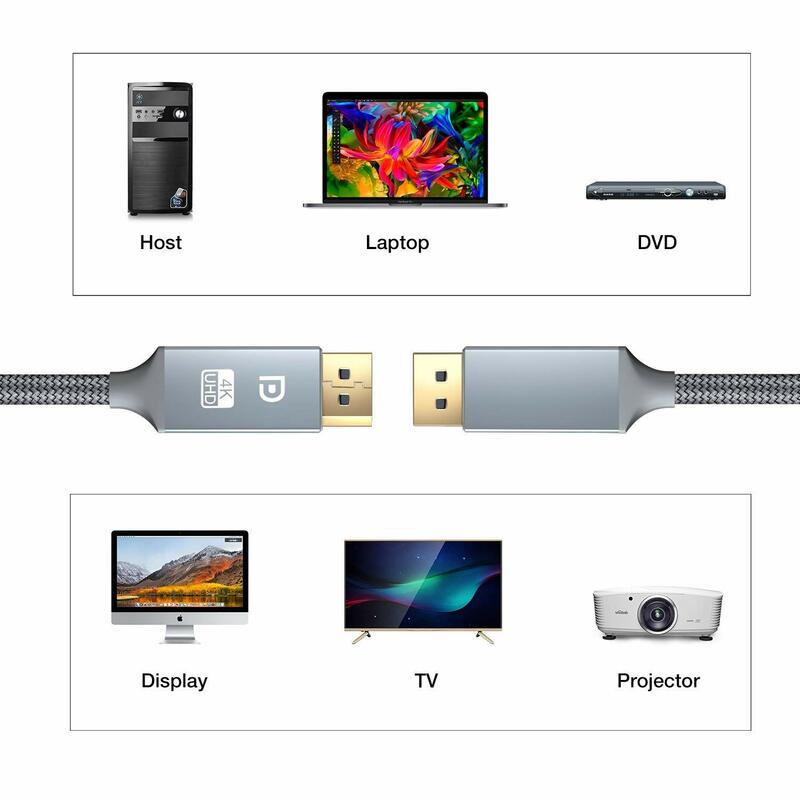 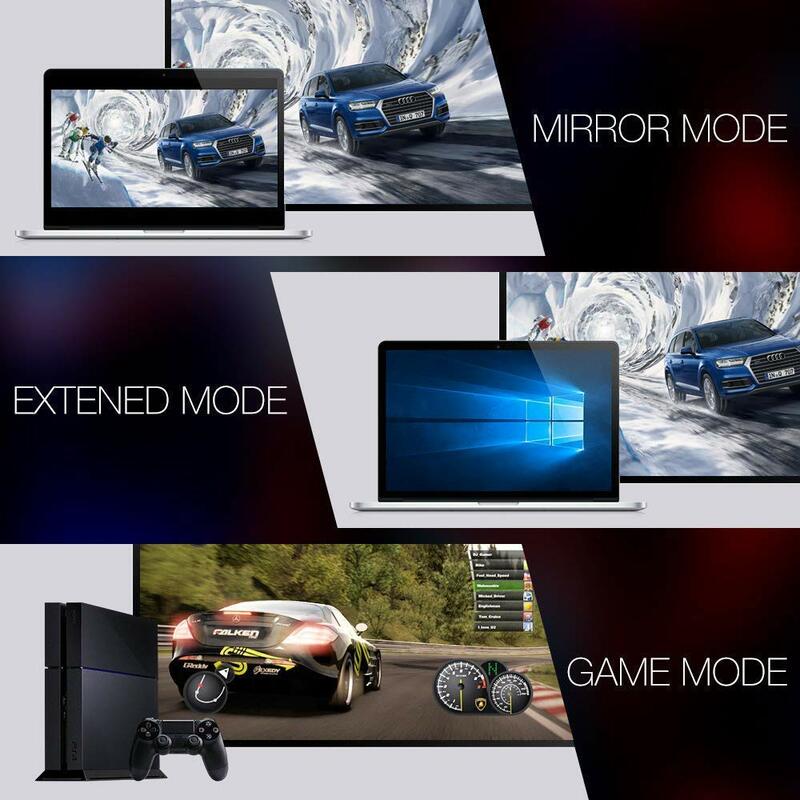 【Mirror or Extend】With 4K DP to HDMI Cable under mirror mode, you could view your laptop or desktop’s screen or video on display or TV, play games or movies on TV easily; Under extend mode, you could connect the second monitor to computer, give you a larger desktop on which to finish all these work only using one Display-Port DP to HDMI Cable.